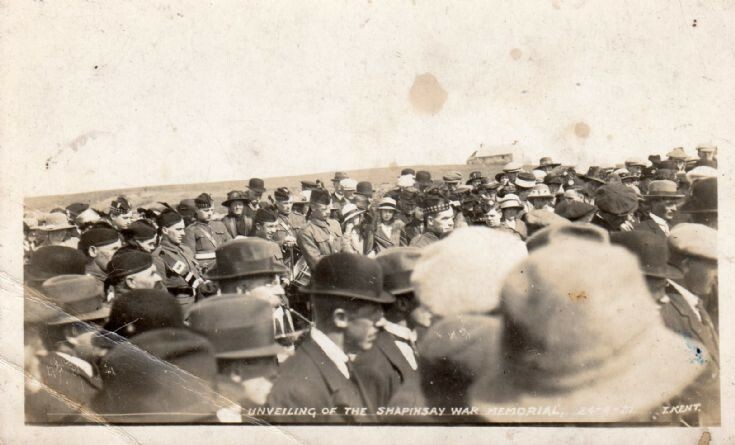 Looking at some old Orkney postcards and came across this one of the 'Unveiling of the Shapinsay War Memorial on 24 April 1927' picture by T Kent. Was the earlier temporary memorial at Shapinsay? SHAPINSAY — WAR MEMORIAL. — A wreath from Colonel Balfour of Balfour and Trenable was placed on the war memorial on Sunday morning. On a card attached to the wreath is written : "They have passed from the sight of man along the path which is marked by loyalty. valour, and duty. "